Unleash your iPhone and take it to the limit using secret tips and techniques from gadget hacker Erica Sadun. Fast and fun to read, Taking Your iPod touch 4 to the Max is fully updated to show you how get the most out of Apple's OS 4. You'll find all the best undocumented tricks as well as the most efficient and enjoyable introduction to the iPhone available. Starting with an introduction to iPod touch 4 basics, you'll quickly move on to discover the iPod touch's hidden potential, like how to connect to a TV, get contract-free VOIP, and hack OS 4 so it will run apps on your iPod touch. From e-mail and surfing the Web, to using iTunes, iBooks, games, photos, ripping DVDs and getting free VOIP with Skype or Jajah-you'll find it all in this book. You'll even learn tips on where to get the best and cheapest iPod touch accessories. 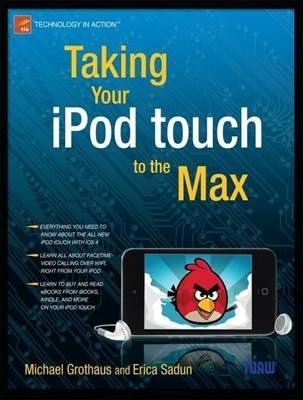 Get ready to take your iPod touch to the max! Illustrations note XV, 416 p.